Spinning group today and we had a visitor who showed us how to do hairpin crochet. So this is my first attempt. 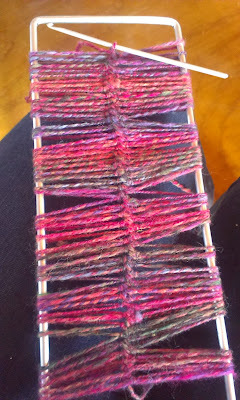 This part is fairly easy, but then you have to join strips together and make something. 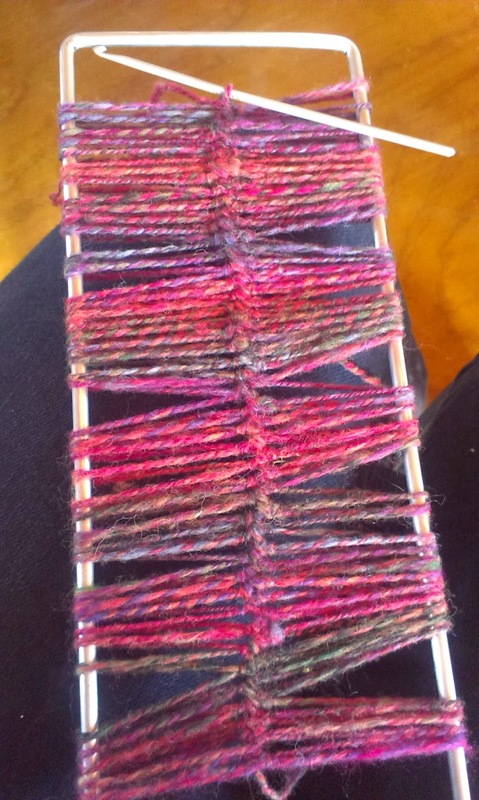 I think it is a good way to show off some of the multicoloured yarns that just get all muddled up and blurgh when you knit or crochet them. Will have to investigate further.